This post forms part of the What Catholics Believe series. Catholics (and most other Christians) believe Sunday is a special day to be celebrated, because it is the day Jesus rose from the dead. The Jews kept the Sabbath on Saturday, and this is reflected in the 10 Commandments. However, only the moral code of the Old Testament is applicable to Christians – we don’t need to sacrifice animals, keep Passover, Yom Kippur, or the Sabbath, and we are free from the dietary restrictions as well. St Paul explicitly stated that the Sabbath is not necessary for Christians – Col 2:14-17, Gal 4:10-11. He said that whichever day we keep, we honour God by doing so – Romans 14:5-6. The same passage in Romans permits us to eat whatever we wish – obviously within reason. The 10 Commandments were the words of the Old Covenant (Deut 4:13, Exod 34:28) and the Sabbath was its sign (Exod 31:13-18, Lev 24:8), and the Old Covenant pointed to a better New Covenant. The mediators of the Old Covenant were Moses and the Levitical priesthood. The New Covenant law is greater (cf. the Sermon on the Mount) than the Old Covenant law. It has Jesus himself as its (our) mediator. The New Covenant is Christ’s blood shed for as at Calvary – Luke 22:20 [KJV] “Likewise also the cup after supper, saying, This cup is the new testament in my blood, which is shed for you.” Every Sunday, celebrating the Resurrection of Christ, we take part in the New Covenant. But Jesus kept the Sabbath! Why don’t we follow his example? So when did Sunday observance begin? The first evidence of Sunday observance by Christians can be found in the Bible – Acts 20:7 as a single event, and 1 Cor 16:2 as a repeating event. 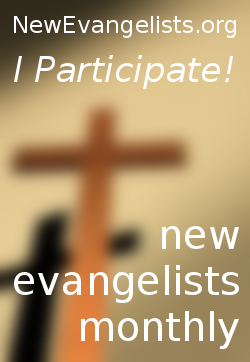 The Apostles received their ‘Great Commission’ to go and teach all nations, Mt 28:1-20. The Apostles were given the Holy Spirit and the power to forgive sins, Jn 20:19-23. Jesus told the Apostles to wait in the city until they were to be clothed with power from on high, Lk 24:49. 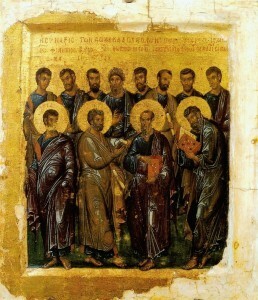 On the seventh Sunday after the resurrection, the Holy Spirit descended upon the Apostles, Acts 2:1-4. Immediately after receiving the Holy Spirit, Peter gave a powerful address on the Gospel resulting in 3000 conversions, Acts 2:41. The Apostles met for the Holy Eucharist on the ‘first’ day, Acts 20:7. 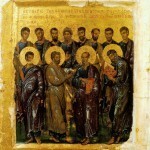 The Apostles set the ‘first’ day of the week for the Churches to take up the collections, 1Cor 16:1-2. Ignatius of Antioch, 107 AD: let every friend of Christ keep the Lord’s Day as a festival, the resurrection-day, the queen and chief of all the days of the week. – Epistle to the Magnesians, chp 9. Ante-Nicene Fathers , vol. 1, pg. 62-63. 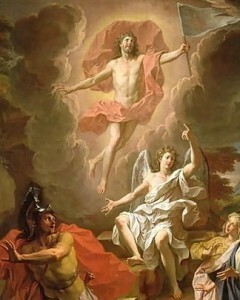 The Epistle of Barnabas, 70-120 AD: Wherefore we Christians keep the eighth day for joy, on which also Jesus arose from the dead and when he appeared ascended into heaven. Justin Martyr, 150 AD: But Sunday is the day on which we hold our common assembly, because it is the first day of the week and Jesus our saviour on the same day rose from the dead. See more quotes from the early Christians here. The history of Sunday observance among Christians is clear – Sabbath keeping stopped, and Sunday observance began with the earliest of Christians. Exactly how it was observed by Christians has changed with time. Early on there was less focus on resting from work. The focus was on gathering together for the Eucharist. However, the Eucharist was celebrated daily – and still is in Catholic churches around the world. There probably isn’t a moment of the day when, somewhere, the Mass is not being said. That means that there is also Mass on Saturday. In the early Church, many Christians had a special fast on Saturdays, because it was the day on which Jesus was in the tomb. Socrates’ Ecclesiastical History records some of the variations on how the Sabbath fast was practised, or not practised. This passage is often misquoted by Adventists and other Sabbath keepers as if it supported Christian Sabbath observance in the Jewish way. But Socrates is clear that the Christians believed that we were not bound to the Sabbath, and such variation therefore was permitted and tolerated. Later, however, in keeping with Matt 16:19 and 18:18, for our benefit the Church laid down specific guidelines on how to observe Sunday. Even so, today there are still a wide variety of practices between all the different rites of the Catholic and Orthodox Churches, and some still have the Sabbath fast. However, none of them teach that we are bound to the Old Covenant Sabbath as taught by Adventists. Official Catholic teaching is often misrepresented by Adventists, who need to have the papacy and/or the Catholic Church held responsible for changing the law of God. This is one of the most foundational teachings of their denomination, and if it were to collapse they would lose a significant piece of what makes them unique. It would mean their prophetess, Ellen White, had failed. Adventist identity depends, to a large extent, on their demonising the Catholic Church. This makes it hard to reach them when they come preaching their doctrines. There are many examples on the internet of this sort of misrepresentation. I’ve dealt with such cases here and here and here and here. In short, they take statements by Catholics and remove all context, and use them to pretend that the Catholic Church acknowledges that they changed the Sabbath to Sunday apart from any decisions by the Apostles. They rarely actually acknowledge official Catholic teaching. But the Church of God has thought it well to transfer the celebration and observance of the Sabbath to Sunday. Catholics believe that the Catholic Church is the original Church established by Jesus and led by the Apostles. Therefore, to Catholics, the Apostles themselves where Catholic. To Catholics, if the Apostles did something, then we can say that the Catholic Church did that thing. Most Protestants would disagree, but please try to understand how we talk. All I ask is that when you read Catholic texts written by Catholics, you try to understand what we are saying, instead of applying your own definitions for these words to something we have written. 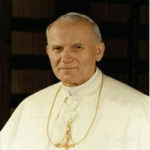 So, when the Catechism of the Council of Trent states “But the Church of God has thought it well to transfer the celebration and observance of the Sabbath to Sunday”, it could mean 1) the Catholic Church after the Apostles began Sunday observance, or 2) it could mean that the Catholic Church in the persons of the Apostles began Sunday observance. The Apostles therefore resolved to consecrate the first day of the week to the divine worship, and called it the Lord’s day. St. John in the Apocalypse makes mention of the Lord’s day; and the Apostle commands collections to be made on the first day of the week, that is, according to the interpretation of St. Chrysostom, on the Lord’s day. From all this we learn that even then the Lord’s day was kept holy in the Church. So, an official statement from the Catholic Church – we believe the Apostles made the change. Any paragraph later on in the text needs to take that into account. 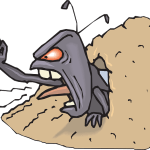 Unfortunately Adventists are often not willing to acknowledge that – you can see the vacillations of one commentator on my blog here. Dies Domini, 21: It was for this reason that, from Apostolic times, “the first day after the Sabbath”, the first day of the week, began to shape the rhythm of life for Christ’s disciples (cf. 1 Cor 16:2). “The first day after the Sabbath” was also the day upon which the faithful of Troas were gathered “for the breaking of bread”, when Paul bade them farewell and miraculously restored the young Eutychus to life (cf. Acts 20:7-12). The Book of Revelation gives evidence of the practice of calling the first day of the week “the Lord’s Day” (1:10). This would now be a characteristic distinguishing Christians from the world around them. As early as the beginning of the second century, it was noted by Pliny the Younger, governor of Bithynia, in his report on the Christian practice “of gathering together on a set day before sunrise and singing among themselves a hymn to Christ as to a god”. (19) And when Christians spoke of the “Lord’s Day”, they did so giving to this term the full sense of the Easter proclamation: “Jesus Christ is Lord” (Phil 2:11; cf. Acts 2:36; 1 Cor 12:3). Thus Christ was given the same title which the Septuagint used to translate what in the revelation of the Old Testament was the unutterable name of God: YHWH. 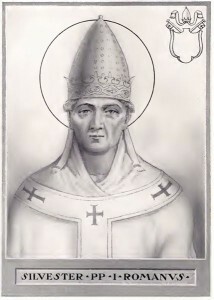 It is uncertain whether Pope Sylvester was even involved. It is uncertain whether or not the council was held during his lifetime, and even if it was, it is uncertain whether or not he was involved with the council. What the council did was simply to recommend resting, if possible, on Sunday, and condemned the Judaisers who wanted to rest on Saturday. It is far from clear whether or not these particular people felt bound to the Sabbath as a biblical command; they were likely amongst those discussed by Socrates, which I mentioned above. It was simply a case of putting a local dispute to rest. Sunday observance was well established at the time, as the Christian writers of the era attest – going back to the beginning, Christian writers had referred to Sunday as the Lord’s Day. So, to sum up, we have seen what the official teaching of the Catholic Church is regarding the origins of Sunday observance. We have seen some of the biblical evidence for Sunday observance and against the idea that the Sabbath is a biblical requirement for Christians, and we have seen that the early Christians confirmed in their own words that they kept Sunday. Thanks for this, Stephen. It makes it very clear. I’m looking forward to the rest of the series. I would point out that the decision of the Council of Laodicea was a local decision, and didn’t affect those not under its jurisdiction. Those elsewhere would still have been allowed to keep the Sabbath fast. Quite correct. Local councils had local authority only, even if a pope was involved. Unless Rome decreed that it be a universal ban, this would not have affected those outside of the council’s jurisdiction. And Rome did no such thing. The Apostles made no such change to th Ten commandments whether the Catholic Cjurch wnats to believe it or not. In many posts on this blog I’ve presented the biblical evidence that we do not need to keep Saturday, the biblical evidence for the origins of Sunday observance, and the historical evidence that the early Christians kept Sunday and not Saturday, and believed Sunday observance began with the Apostles. There is a uniform witness of Christians down through the ages to support the Catholic claims. I’ll leave it to you whether or not you believe it. This is a most interesting site. Thank you for sharing your thoughts. I find it very cynical to saw all the 10 commandments are fine to keep but that one about the Sabbath not so much cuz only Jews do that. Why are all the other commandmants moral but the Sabbath command isn’t? The 10 Commandments (including the 4th) are for us, Moses’ laws against us. In the Old Testament, only Israel was required to keep the Sabbath. Gentiles not keeping the Sabbath was not condemned, while their idolatry and other sins were. The Sabbath was specifically linked to Israel and the Old Covenant. There is nothing moral or immoral about a specific 24 hour period of the week. See Is the Sabbath moral or ceremonial law? and The Sabbath vs Sunday debate. The distinction between the 10 Commandments and the Mosaic Law is an artificial one – all were instructions from God, and even the so-called Law of Moses is referred to throughout the Bible as being the Law of God. That law has ceased, and a new law replaced it. The law written on stone has been done away with, and is called the ministration of death (2 Cor 3:7). The moral component of the 10 Commandments was the expression of God’s moral principles at that time. As a legal code, it has been replaced. As an expression of God’s moral principles, the Decalogue and many other laws (“of Moses”) in the Old Testament remain valuable foundations for Christian morality, but the legal code guiding Christians is a greater law than even the Decalogue. This is agreed upon by nearly all Christian denominations, with a few exceptions, like Adventism, who seem to have missed the point. I plan to deal with this topic in more detail in a future post – keep a look out over the next few months! The Sabbath (Saturday) is hallowed and blessed by God, no other day of the week has this special mark. I pray that all who come into a knowledge of God’s true Sabbath will search the scriptures for themselves to obtain truth. We must learn to obey God rather than man, regardless of what the world teaches regarding any teaching that conflicts with what has been given to us to obey by God. All has indeed been fulfilled – Jesus said on the Cross, “It is finished.” In the metaphorical sense used in the Bible, the heavens and earth have passed away – it means that an era came to an end and a new one began (Jesus appeared at the end of an age – Heb 9:26). If you do not observe Yom Kippur and animal sacrifices, then you acknowledge that at least part of law has passed away. Since you acknowledge that the 10 Commandments were written on stone, what law is 2 Cor 3 referring to when it speaks of “ministration of death, written and engraven in stones” as something “which is done away”? After going through what Stephen Korsman has written I believe now that i have to stand by what Adventist claim that Catholics changes the sabbath. There is a lot of evidence from what you have given out that Catholics changed Sabbath because whether council or not, these people were working at the directive of the existing Pope at that time. Form biblical point of view, the sabbath was not given to Jews, it was there from creation. You can check this in Genesis Chapter.1 and when it was being instituted to the Jews in Deuteronomy God had already elevated the day. If Sunday was to because an important Day as Catholics believe now, God wouldn’t have allowed Saturday to become so popular until the death of Christ himself. I am very sure that Catholic priests and Pope himself takes advantage of their members’ ignorance of the bible. What should the church anathematize someone as if it is God? Salvation is by choice and not force, but from historical evidence, Catholics is believed to have killed more innocent people than Hitler just because people were not accepting their ideologies. Why did Luther who was well equipped with Catholic philosophy decide to go against it? what Did Catholics burnt or torture those who were denying the changes if it was not the Directives of the administrators of those times. The fact is God will one day reveal the truth to all of us. we will indeed know who was following the God is Hid Supremacy as King and who was not. The Ellen White of the Seventh Day Adventist may not be a true prophet but she somehow helped to reveal what has been going in in Catholic and some of which is evidently true from what i have read above. Its not a matter of knowing how to philosophical argue against those who are challenging us. But rather, to go through pages in the bible and understand what really God wanted. God said he is unchangeable, he was the same yesterday, to day and will be the same tomorrow(future). Catholic is just to full of idolatry and disguise itself in charity when in actual sense it is misleading people of God away from him. It is s absorbed in traditional theories that God’s commands that’s what is has so many days of feasts and holy days. This are my views with regards to the posts that have been submitted here. Charles, I accept that many people will not be convinced by any argument, no matter how sound it is. It is very difficult for someone to change their dearly held beliefs. I have helped some change their beliefs, and I’ve helped some more firmly understand their beliefs, and thereby avoid the traps Sabbatarians and anti-Catholics lay for them. It is a myth that Catholics killed that many people.